It is so great to connect with nature spending weekends in your garden being the weekend warrior that you are sometimes working way into the evening that’s right you are correct from dusk until dawn ensuring that your garden will yield its best as you seek to reap a good harvest. But with winter fast approaching it races through your mind that soon you will have to put away those garden tools as you prepare for those harsh winter months which will cover your garden with snow. But even though those winter months does not permit you to continue working in your garden you can always extend the season by growing vegetables indoors. This is one of the many benefits and beauty of owning a garden, you can bring the outdoors indoors as you continue to grow food crops that are fresh which will give that WOW to the many dishes you prepare throughout the winter months. There is nothing more which can warm the heart than to prepare a nice home cooked meal as the winter chill causes you to settle down to a cup of hot chocolate. So if this describes you and you want to extend the growing season beyond those chilly winter months then following these tips will have you eating fresh all winter long. Sounds good, then here we GROW. There are some things however you will need to make your indoor garden a success. 1. Lighting-in order to grow indoor crops successfully light is required, there are two ways you can go about this either find an area of the house that gets the most light during this time of the year or purchasing and installing grow lights from your garden center or hardware store. 2. Spacing-having sufficient space is so important, how big will your indoor garden be must be determined. 3. Temperature-the area of your home that is chosen must have the right temperature for your veggies to perform at their best. If the temperature drops too low during the night hours your veggies will not do as well. The area or room should have some sort of insulation to help protect your indoor garden from nighttime winter chills. 4. Humidity-plays and important part because while it is good that your indoor plants are warmed be careful not to allow the heating systems to dry out your plants causing fungal development and root rot. Investing in a humidifier that cools the air may offer some help. 5. Soil-soil does matter therefore it is good to use a good potting soil along with compost to build your soil for your veggies to survive. 6. Containers-containers should have drain holes for proper drainage because what you don’t want is to install your veggies in containers that don’t have drain holes because root rot will set in. Placing a saucer under each container will work well for catching the water that drains through the soil, make sure and empty saucers. In this section, we will be looking at a list of veggies that can be grown successfully indoors. 1. Lettuce makes a great choice. These veggies go great on sandwiches and in salads. A container that is 4 inches deep is great for sowing the seeds of lettuce. 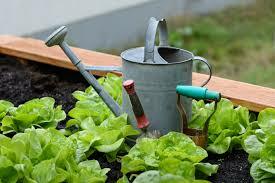 After you have added the soil to the pot moisten it gently press the seeds into the soil and water lightly. Seeds should be moist at all times and in about a week or so your seeds should germinate. Allow your lettuce to grow anywhere from 4-6 inches before harvesting. When it is time to harvest remove the outer leaves. Allowing the center leaves to remain will cause your lettuce to continue to grow. 2. Chilli peppers-do you want to spice up your life then growing hot peppers indoors is a must to get that sizzle. Your hot pepper tree will need about 8-10 hours of light. Containers can be 8 inches or a little taller. The soil should be moist, not waterlogged. For more on the care of chilli peppers follow the link that has been provided. 3. Herbs can really give that added flavour while cutting back on the amount of salt that is used. Growing herbs indoors is a great way to flavour your foods all winter long. For more on how this is done follow this link. Growing indoor edible plants. 4. Tomatoes are one of my favourites which I love adding too many of my dishes. Growing tomatoes on the indoors are not that hard. Indoor tomatoes need about 8-10 hours of sunlight. For more on how to grow tomatoes in containers, this link will offer some help. Growing tomatoes in containers. 5. Radishes are great to add to the list of veggies. When planting radishes on the indoors ensure that your plants get plenty of light. 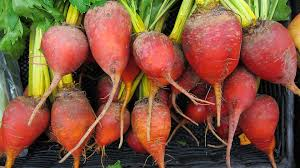 A large container should be provided for you radishes to give them space to grow. Keep the soil moist not waterlogged. 6. Spinach can help to spruce up your winter as you get that much need vitamins. Spinach does not like wet feet so ensure when planting spinach that a well-drained soil is used. It is good to use an indoor potting mixed so that your spinach can grow healthy giving you a good harvest. 7. What about growing sweet potatoes? 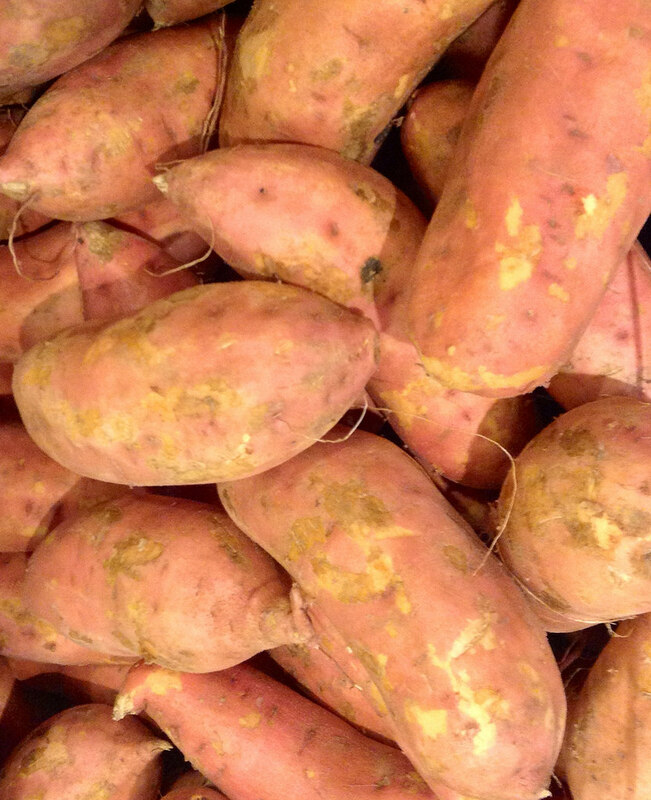 sweet potatoes can really flavour your foods. I love adding sweet potatoes to my soups. Eating soups during this time of year can really warm the heart. This veggie is a must and you should give it a try. Containers should be large enough so that your sweet potatoes can grow comfortably. For more on how to grow sweet potatoes in the home garden and containers click the link that has been provided. Growing vegetables indoors is a great way to extend the season beyond the winter months. Why should winter time stop you from doing what you love best and that is connecting with nature as you reap a good harvest eating fresh all winter long?